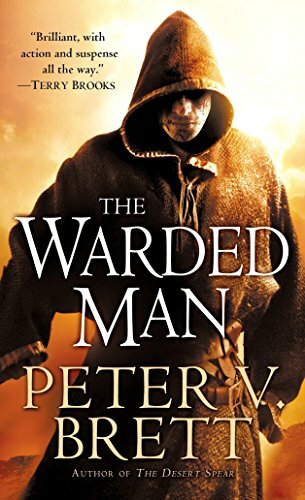 An hour-long conversation with Peter V. Brett, the internationally bestselling author of the Demon Cycle series (The Warded Man, The Desert Spear, The Daylight War, The Skull Throne, and The Core), which has sold more than three million copies in 26 languages worldwide. 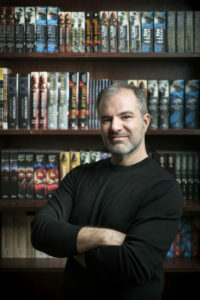 Peter V. Brett is the internationally bestselling author of the Demon Cycle series, which has sold more than three million copies in 26 languages worldwide. 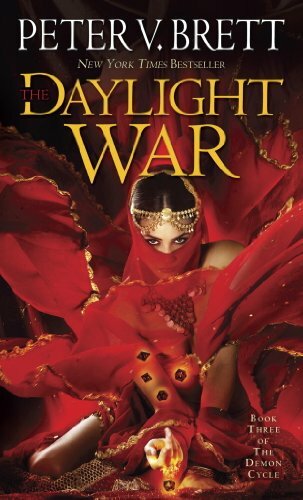 Novels include The Warded Man, The Desert Spear, The Daylight War, The Skull Throne, and the final novel in the series, The Core. He lives in Brooklyn. I seem to start a lot of these by saying, “Oh, we met in Calgary. For some reason I’ve met a lot of authors in Calgary and you’re one of the most recent ones. We met at When Words Collide in Calgary this last summer, which is a convention I like to give a shout out to whenever I can because I think it’s a really good one. Hope you had a good time there. Yeah, that was a fantastic convention. I didn’t really know what to expect, I’d never been to it before and wasn’t really familiar with it, but it actually ended up being one of the most welcoming and friendly and enjoyable conventions I’ve been to in a while. I think one of the nice things about it is that it’s so focused on writing, and not just within science fiction fantasy but all sorts of writing. So, I think that’s nice change from just the typical science fiction convention or fantasy convention. Yeah, I agree. And there were locals there who sort of know the area and are really welcoming and also a lot of guests from all over. So, there’s a good mix and I really had a good time there. And Canadians are just nicer. Maybe. I’m both Canadian and American so I can’t really speak to that. We’re going to talk, of course, about the Demon Cycle as we as we go ahead here, but I like to go back into the mists of time with my guests and find out how they got started. First of all, how did you become interested in the fantastical? I understand it’s from an older brother. Yeah, I mean, some of that I think is from my older brother. Some, I think, it’s just when I reached the age where I was old enough to sort of read a novel on my own, the novel that happened to be hand was The Hobbit. That, I think, was probably the first book without pictures that I ever read of my own accord. And I think that definitely set me on the path. And then I had an older brother, and you know, in the ’80s I was playing Dungeons & Dragons. We were those kids in Stranger Things playing Dungeons & Dragons. And so, between the two I think that I really get heavily invested in fantasy from an early age. And then when I started prowling the bookstores looking for things to read, I ended up in the fantasy section. I have two older brothers who both read this stuff and that’s kind of how I got hooked on it as well, although, oddly enough, I tried reading The Hobbitas a kid, but I couldn’t get into it until I was quite a bit older. My start-up stuff was Heinlein juveniles and things like that, because I was more on the science fiction than the fantasy side. But I’m a bit older than you too so. So, when did you actually start writing, and was it science fiction and fantasy from the beginning, or did you start writing and then sort of find your way into writing the fantastical stuff? I started writing in school. From an early age I knew that I wanted to be a writer. First, I wanted to write comic books, and so for a while I was into comic books, and then probably in high school was when I realized that comic books are sort of a codependent relationship where you have to have a relationship with an artist, or you have to do the art yourself, in order to write comics. I had a friend that I was doing that with who just couldn’t draw as fast as I could write and would often have opinions over how the story should go or what should happen, and I like being in control of everything, and I liked not having to be on someone else’s schedule, so I sort of gravitated from there to prose. And that’s when I moved into science fiction and fantasy. The first book I wrote was a hybrid of the two, it was like a space fantasy. From there I went on to writing sort of basically novelization of D&D adventures, and then from there moved into sort of my own area. I grew up in New Rochelle, New York. I went to New Rochelle High School. I wrote my first novel when I was 17. I finished it the beginning of my senior year of high school. It was terrible, never published, never will be published. I don’t let anyone see it. But you still have it? I printed up 10 copies of it. I had them bound at the print shop and gave the to my friends, and I have systematically hunted down and destroyed all but one of those copies, which I keep locked safely away. I was going to ask if you shared your writing. I wrote novels in high school, too, and I didn’t make copies but I had one copy that I’d typed up and I handed around to people to read. I often encourage writers, starting writers, to let other people read their stuff because that’s one way you find out whether you’re telling stories that anybody wants to read or not. So, did your friends actually enjoy it, even though you now think it’s terrible? Yeah, all my friends read it and had plenty to say about it and acted like it was good. And maybe for a 17-year-old it was good. But when I look at it back at now I just cringe. But, yeah, you have to share your writing with people. I mean, some people tend to just write for themselves and never show it to anyone and that’s fine. But if you want to be a writer, if you want to actually communicate to other people, you have to show it. You have to be willing to take the risk of showing it to other people. Now, you went into university. You studied English, but you didn’t particularly focus on creative writing, is that right? Well, they didn’t have a creative writing program at the school that I went to. I wanted to go to a state university because that was what we could afford. The one that I got into was the best state university that I applied to, but they didn’t have a creative writing major. So, I majored in English and just took all the writing classes I could in trying to craft my own writing major. It didn’t really work out. I wouldn’t say that my college education had a massive influence on my writing. Most of the writers I’ve talked to who took creative writing don’t usually say very good things about the creative writing that they took, I’ve noticed, especially if they write science fiction and fantasy. Yeah, I mean, science fiction and fantasy is generally looked down on at the university level, which is undeserved, but nevertheless that’s the way of things. I took a bunch of creative writing classes that were, like, poetry even though I didn’t really want to write poetry, or that were literary fiction even though literary fiction had always sort of bored me. There certainly weren’t any science fiction and fantasy writing classes until later. After I graduated, I was living in New York City and I took a science fiction and fantasy writing class, a night school continuing education class at NYU, and that class actually did help me in my career. I actually wrote the first chapter of The Warded Manin that class, which ended up being what started my career off. But there were a lot of years in there between that first novel at 17 and The Warded Man, weren’t there? Yeah, there were a lot of years and a lot of terrible novels. The Warded Manwas my fifth novel. So, I wrote four other novels prior to that that were terrible. I mean, each one had good things in it, each one had things that even to this day I’m proud of, but they also had a lot of cringeworthy, horrible things. But you need to get through that in order to write on a professional level, and so every writer that I know, every professional writer that I know, has a few, you know, corpses of books left in their wake that have never seen light of day and never should see the light of day. Yeah, I can I can vouch for that. And I started writing at high school and didn’t actually sell anything, and even then, it wasn’t too much of a publisher, for about the same timespan that you are talking about. So, yeah, lots of lots of bad writing in there. But you’re learning all the time. I didn’t even try to get anything published until I was 35. I looked at my own work and sort of was my own harshest critic and I didn’t feel that I was writing on a professional level, so I wasn’t attempting to sell it. I mean, I was waiting to either get bored of doing it or to hit that point where I started to feel like I was in control and really knew what I was doing. What were you doing for a living? Well, I had a degree in English and I knew that I wanted to be a writer and so I moved to New York City and I took the first editorial-related job I could find. I started out editing business-to-business directories, which essentially means editing phone books, which is exactly as fun as it sounds. From there, I got a job as an assistant editor, doing medical journals. I did that for a little over a year. And from that I went on to get an editorial job doing pharmaceutical publishing. Basically we would send journalists to medical conferences and they would cover presentations there and write up reports that we would publish and mail out to doctors and nurses and things like that. And so that basically became my career. I did that for almost 10 years and was doing very well. You know, I made a good living, I had good insurance. I was able to do the work with only a small percentage of my overall brain-processing power, so I didn’t really take my work home with me. I would go to work and I would work a full day and I would go home and sort of forget about it until I went back. It was it was a passable career that I could have gone on to do for the rest of my life. But all along, at night, I was working on my novels and sort of hoping that that could turn into something, and eventually I was fortunate enough to have it turned into my fulltime career. Yes, it worked out well for you. That sort of non-fiction pharmaceutical writing, all that stuff you were doing, do you find that that had benefit when it comes to writing fiction, or were they completely separate things for you? It did. It had a big benefit, I think, but in ways that were sort of unforeseen. I mean, certainly I was wearing all of the editorial hats,. I was an editor who was assigning stories to journalists and then I was talking to them about the sort of theme of their story and then I was doing first- and second-pass edits to that story. There were a bunch of other editors and we would trade with each other. I would do copy edits on their stories, and they would do copy edits on my story, and then for a third editor we would do a proofread, and so because of that I sort of had to wear all the hats. So, I learned the proofreader’s job and how it’s different from the copyeditor’s job, I learned the copyeditor’s job and how it’s different from the regular editor’s job, and I did project management and I did art direction and I did print production, and we made promotional items and we built websites for our clients, and so I learned how to do a wide variety of publishing and marketing things. Because I was working in this sort of small boutique publishing company, I got to learn how to do all of those things. I don’t think any of that really affected my prose, I don’t know that it affected the content of the book so much, but the editing skills allowed me to deliver a really clean manuscript to my agent for the initial hurdle and also for the publishers when we were trying to sell it, and then once I managed to sell the series I had a whole set of skills that I was able to apply to promoting myself. I knew how to build a website. I knew how to make promotional items. I knew how to art direct. So, I was able to hire artists to provide content for my website and provide content for my social media feeds and make me professional-looking business cards and all sorts of things like that. And so, all of those skills definitely had a positive effect on my career overall, although I don’t know that any of them really affected the stories themselves. It sounds like…of course, when this started it wasn’t as big a thing as it is now…but had you chosen to, with those skills you could probably have done quite well within the self-published world as well as the traditional publishing world. Absolutely. I think that being a success in self-publishing requires a certain skill set, and it’s a skill set that, to be honest, most people don’t have. The people who do have it, though, can be very successful in that realm, and I think that that career that I had in medical publishing and marketing gave me most of those skills, but also gave me an appreciation of just how much work all of those things are, and in the end I decided that I would much rather have a traditional publisher to do all of that stuff for me so that I could just focus on the creative part rather than take on all of the additional headaches of marketing and print production and mailing and selling myself and establishing mailing lists. There are so many things that you have to do to have a successful career in publishing that I think that I’m capable of doing, but I just don’t want to do. I’d much rather focu on writing stories and doing fan outreach. While you were doing all your fiction writing, when you were doing this during the day and then you were writing the unpublished novels, were you also doing things like writing workshops, or were you’re in a writers’ group? Who encouraged you during all that time? Yes, I hope to have him on the show at some point. Well, I can probably make that happen! He and I have been best friends…we met in high school, but we’ve been best friends since college. We both wanted to be writers and we were both sort of reading each other’s work and editing each other’s work and encouraging each other’s work from the beginning. And that, I think, was a big help to both of us. If you look at our first novels, there’s a lot of his influence in my early novels and there’s a lot of my influence in his early novels, because we were passing them back and forth to each other and offering ideas. So that, for the most part. was my creation partnership. Mike is also a much more social person than I am, and so he was very keyed into the New York publishing scene and getting invited to parties with other authors, and he joined the Science Fiction and Fantasy Writers of America and had connections there. I was the introvert that he adopted to sort of break into that world. Those connections certainly paid off later. But I spent, most of that time that he spent building that network, I spent that time focused on my writing and trying to get up to a level where I was willing to risk putting it out there. Well, we’re going to talk in more detail about the Demon Cycle. But first, how do you describe them to people who, unimaginably, have never read any of them? The Demon Cycle books are set in a world where demons rise out of the ground each night and basically ravage the land. They will hunt and kill any living thing, but their main focus and preference is humans. These creatures are magical and immortal and mostly immune to regular weapons, and so the only way to protect yourself is to draw these magical symbols called wards around your home, around your crops, around your property, to form a barrier of protection that the demons can’t pass, sort of like holding up a cross to a vampire. The book begins 300 years after the demons have reappeared in the world and knocked what was once a very technologically advanced society down to about a Little House on the Prairielevel of technology. Humanity has been hunted nearly to extinction, and so when the story begins there are very few people left. They live in very isolated communities and it’s really hard to get from one place to another because anywhere, anytime you travel overnight, you run the risk of being attacked by demons. The series follows a group of characters, each of whom we meet in their childhood, and each of whom is scarred by some sort of demon encounter in their childhood that pushes them off what would have been the normal path of their life and forced them down a different path. Each one of them learns sort of a different way to resist the demons and start learning how to fight back. And that, as they grow up into adulthood, becomes this sort of last push for humanity to fight back from the brink of extinction and make a comeback. And it’s a five-book series? It’s a five-book series, and the last book is out. It’s a finished series, so if you’re the sort of person who likes to wait until a series is done to give it a chance you can binge the whole thing right now. There are five books and then there are four companion novellas that aren’t really essential to the main story, but if you’re enjoying the main story they are nice little side adventures that give you more development of some of the secondary characters in the series. Yeah. You know, the thing is, this question is always the hardest to answer because any real author knows that you don’t just get anidea. A book is full of many, many, many, many ideas. And so, I don’t think there was any one thing that made me start writing the series. It was more something that built up over time. One of my favorite books ever was The Elfstones of Shanarraby Terry Brooks, and that story, very similarly, was about demons coming back into the world after having been banished for thousands of years, and how the world wasn’t really ready for them. They had forgotten how to fight them, they had basically forgotten that they exist, and so suddenly these demons are coming back and people just don’t know how to deal with it and aren’t prepared for it. That, I think, was a big influence in my storytelling. But it was only a tiny part of the puzzle. I mean, I also spent a long time building a magic system that I thought were…sorry if there’s a little banging. They’re doing work outside of my window. I figured that. That’s a very New York sound. I think, what really made the story click for me was September 11th. I was in New York City on September 11th and I could see the towers burning from my office window and see people running around on the streets and everybody was terrified. My father-in-law at the time was in the World Trade Center at the time of the attack. He was evacuated, but we didn’t know that at the time. We didn’t have the sort of cellphone technology that we do now where you can get right in touch with somebody and see if they’re OK. It took hours before we found out. And so, all of this had the effect of me seeing how fear and terror affected a large group of people. Some people immediately ran away. Some people said, “I have to get home to my family,” and they ran out of the building and went home, and some people just said, “OK, we have to move away from wherever the smoke and the fire is,” and other people said, “No, we have to run to the smoke and fire and help people,” and there were people lining up down the street to give blood and there were people rushing into the wreckage to try and help people out and clear it out. And there were other people who were just standing around bewildered and not knowing what to do, and there were other people who, you know, went and needed to go somewhere to cry, and there were other people who threw up their hands and said, “Oh well, the subways are screwed and we’re not going anywhere, so we might as get a six-pack of beer and wait this out.” The way that every one of those people was afraid but they all dealt with it differently was something that really struck me and something that I think became the basis of that first book, that there are all these people who were living in fear every night as the demons come out. How does that make them behave? What are the different ways that individuals deal with that fear? How do you treat your neighbor when you know that both of you might get eaten by demons that night? How do you treat your friends, how do you treat your family, how you treat the people that you’re sort of locked up with at night because you can’t go anywhere until the sun comes up? Those were some of the ideas that I really explored in that first book that made it more than just like a legend or a myth, it made it something that really felt real and visceral and hopefully draws the reader in and makes them feel like they’re part of what’s going on. Well it certainly drew me in. So, I can vouch that you succeeded in that. Where did the symbol-based magic system come from? Why did you go that route? Do you remember? Well, I think that magical symbols that offer protection from evil are something that every culture in the world shares. Even cultures that sort of evolved independently of each other have their own version of the evil eye or the cross that holds back a vampire or whatever. And so, I was dealing with these sort of big concepts that everybody can understand: fear of the monsters that come out in the dark, the magical symbol that you hope will protect you. I wanted to have magic in the series, but I didn’t want magic to be something that people depended on overly. 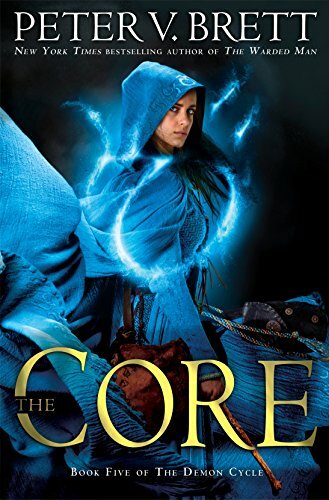 I wanted the series to be very much grounded in the real world, but then have this sort of magical element that you could understand, that the reader can understand, to the point where they would understand that magic wasn’t going to just suddenly save the day unexpectedly in a way that wasn’t satisfying. 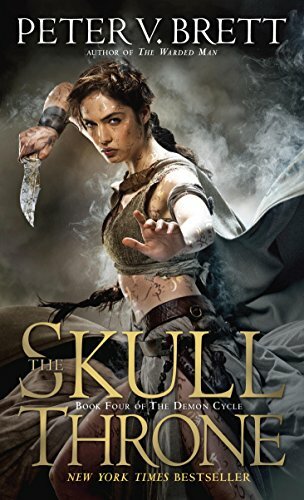 Because there’s a lot of fantasy books where magic is just sort of like, at the at the end, “Oh, the good guys won, and it was magic and it’s great!” I very much didn’t want that. I wanted a magic system where people knew the rules, so that they could understand that something unexpected wasn’t going to happen, but also be sort of surprised when that magic system was used in creative ways that maybe they hadn’t thought of. And I did it in such a way that it could be built up over the course of the series. So, in the first book there’s very little magic, other than these sort of protective symbols, but then by the end of the series, when people are throwing lightning bolts around and flying, the reader understands it because you got there through a very slow incremental way, where each step, each advancement in the understanding of how the magic system works, the reader was going along for the ride. So, you got there gradually enough that when it got spectacular it didn’t seem out of nowhere. Well, that is course one of the challenges of writing a series, especially one that builds to a conclusion. I presume that you had the outline of the entire five-book cycle when you began, or did you develop some of it as you went along? My original pitch to Random House was for five books, and I delivered to them a completed first book; maybe 30 percent of a second book, plus extensive notes on how it would end; probably about three pages on what would happen in the third book; one page on what would happen in the fourth book; and then one paragraph on what happened in the final book. But I’m happy to say that 10 years later I hit that paragraph pretty much exactly. So, it’s nice to know that, even when you sort of take a shot in the dark, years later I was able to hit the target anyway. Did you have the book titles before you started or did they come as you went along? I had a set of titles, not all of which ended up getting used. Sometimes when you’re writing a book series like that you have these story beats that you want to hit and you think you’re going to hit them in a certain rhythm and then that rhythm changes as the series goes along, and so some things that I thought were going to happen in book two didn’t happen until book three and some things that I thought were going to happen in book three didn’t happen until book four, and so the titles needed to be a little fluid to deal with that. Now, I think I read that you are a very fairly detailed outliner of books before you began. Is that the case? What do your outlines look like? I do that throughout the entire book, so that I know the entire story. Before I sit down and start writing the prose of the story, I know exactly how the story is going to end. And that is essential to me, because I don’t run the risk of writing myself into a corner. I know exactly how the story’s going to go, and then I can spend my prose time focusing on the character’s emotional state. How did they feel about what’s happening? I already know what’s going to happen. W\hat state of mind does that put them in? How does that affect how they treat each other? How does that affect their emotional state? What is the relationship between the characters as they go through this or that trying event? And so, that is sort of how I approach the prose portion of the writing. A lot of the creative questions and problem solving is done in the planning stage and then a lot of the emotional writing is done in the prose. A lot of authors will tell me that they don’t like to do a detailed outline because then they feel like they’ve already written the book and then it just becomes a slog actually writing the book. Does it feel like that to you? It absolutely does. But this is the mistake that I think a lot of writers make, is that they think that their job should be fun. And you know what? It doesn’t have to be fun. Writing is your job, and the way that gets you to the best end product is the way that you should do it. If you’re writing because it’s fun, that’s fine, but I think that if that’s not the method that produces the best work for you, then it doesn’t always have to be fun. So, there’s a lot of times where I do feel like, “OK, I’ve sucked all the joy out of this story because I’ve already solved all the problems and done all the discovery and now I’m just doing the hard work part.” But, you know, a job should involve some hard work. Every artist hhas to spend time doing tedious tasks in addition to the very creative parts of things. I don’t resent that because I think that it gets me to the end point that I want to be in, wich is a book that I’m really proud of. During the discovery process, when you’re doing the outlining, clearly you will be deciding what characters will be doing what. How do you decide who you need in a story, and then how do you go about bringing them to life? You have a multiple viewpoint characters, multiple protagonists, I guess you could you could call them, people we follow throughout and get to know. It’s not like it’s always just the one guy. You have a lot of interesting characters. How do you decide who you need and who’s going to be telling the story and how do you bring them to life? Well, I sort of think of my series as a series of character studies going on in this sort of pivotal part of history. There’s this great upheaval as humanity tries to fight its way back from extinction and I’m exploring the interesting people who are involved in that. And so, each one of those characters is completely different from all of the others and each one of them has their own story and their own sort of path to achieving agency in this world, and those stories are as interesting to me as the overall overarching story. So, you have this series of origin stories that all sort of build up to this group of characters that reaches the final battle, as it were. And so I wrote out stories that I thought were interesting and characters that I thought were interesting. I felt, like, “OK let’s take your sort of typical hero characters and then instead of focusing on them when they’re adults and they’re already awesome, why don’t we go back and look at them when they’re children and sort of see how they got there?” That’s what’s interesting to me, and as the series progresses there are a lot of times when I’ll take a character and say, “OK, we’re going to jump back a few years and you’re going to see where this person came from, and the trials that they went through when they were younger, so that when they encounter something similar as an adult you understand why they decide to do what they decide to do.” I think it’s a lot more satisfying in that way because when you know where a character came from, then you can understand why they make decisions that might be different from what you would have made under those circumstances. I noticed on your website that on the about page about you, you actually have a character sheet for yourself. Does that match up what you do with your characters or is that just a visual, fun element for your website? Known associations and all that sort of thing. Yeah, like alias and group affiliations and superpowers But, it was really just a goof. None of that was expected to go anywhere, really. What’s your actual writing process look like? I remember reading that you actually wrote The Warded Man quite a bit while commuting, didn’t you? Yeah. That first book, I submitted it to an agent, and at that point I was kind of at a stage where I wasn’t sure if I was ever going to be published. I was in my 30s already and I thought that I was getting too old for this sort of thing and submitted the book to an agent, and he rejected it. But he asked if I had anything else, and I showed him one of my older books, and he rejected that, too, but he said, “Look, you’ve got a lot of potential but it’s clear that your writing is self-taught and you’re making a lot of amateur mistakes.” And he gave me a book on writing and told me to read it and said go back and take that first book, it was called The Painted Manback then, take that book and fix it and then come back. And so, at this point I had a real legit agent who represented bestselling authors telling me I had what it took if I would just get some focus. But at the time I had a full-time job in Times Square in New York City and I lived out in Brooklyn, and so I had a two-hour commute each day plus my time at work and I also had a love life and friends and everything else and didn’t really have a lot of writing time, and so I decided that I would give up my reading time on my morning and afternoon commute and try and spend that time writing. And so I bought this smartphone, this was pre-iPhone, I bought a Windows phone that had a very broken-down version of Microsoft Word, and I broke the book into separate chapters. I would get on the subway in the morning and I would open up the chapter that I was working on and I would put my headphones on and for 45 minutes to an hour I would write on the way to work and I would do the same thing on the way home. I would write maybe three or four hundred words on the way to work and three or four hundred words on the way back, and then at night I would sync that back to my computer and I would fix all the typos from writing with my thumbs and add another couple of hundred words so I would average around a thousand words a day. And I did that for a year. I would say probably 60 percent of The Warded Manwas written on the subway like that in that first year, and a decent portion of The Desert Spearas well. After that I got an office and started writing in a more traditional fashion, but I still make sure that all my mobile devices are writing-capable so if I’m out and about somewhere and I want to get some writing in I can do it pretty much anywhere. It’s good to remember that writing is not something that needs to be contained in a certain ritual or in a certain place or a certain device. You can do it pretty much anywhere. Lots of people still like to write longhand. I can’t do it myself, but I’ve talked to some who do. I don’t understand that. I mean, for me, it’s just the worry that’s, like, what if you lose those pages? What if you spill your drink on it and they all blur? What if the wind blows them away? What if you forget your bag somewhere? Then everything is lost. What if you can’t read your own writing? Yeah, yeah. And so that’s what worries me more than anything else. My daughter is writing a novel and she’s writing it longhand in a notebook that she carries with her everywhere. And I live in terror that one day she’s going to lose that notebook and lose, you know, a year of work, more than a year at this point. But, you know, I don’t want to transfer all of my anxieties onto her. Because of the way you work, with a very, very detailed outline I’m going to make a guess that there’s not a lot of rewriting when you get to the end of the book. Is that fair? Or do you actually have to do quite a bit of prose touching up? I don’t want to lie and say that I don’t have to do rewriting. I don’t tend to write myself into a corner. I usually will write one book all the way through to the end and then turn it in to my agent and my editor. And usually Myke Cole will do a read to. And then I do read myself. And then all four of those people will deliver their own sort of edited manuscript and I will go through them all simultaneously and make sort of a master edit copy that breaks down what I need to work on, and then I do one rewrite from beginning to end to fix all of the problems. It’s rare that I have to go out and delete a whole section or change something really significant with regards to the path of the story. I’ve never had to change the ending or something like that. But there are a lot of times where my writing was lazy because I was distracted or because I was more excited to get to a different part and I jumped ahead or because I was telling and not showing in the first draft. I do that a lot in the first draft. So, the second draft is always massively different and massively better. Structurally it’s mostly the same, but every sentence has been touched and improved. Usually I’ll go through and take two to three words out of every sentence and two sentences out of every paragraph, so I streamline a lot. I make things a lot tighter. Occasionally I’ll expand a little bit if there was a scene missing that I needed to add in, but I do all of that in one path and then usually that second draft is the final. Have you had the same editor for the entire series? No, actually I’m on my third editor, which is somewhat frustrating. My first editor was laid off when Random House combined. They had multiple science fiction and fantasy imprints and they sort of combined them all into Del Rey. My editor was a casualty of that. Then I was assigned another editor, but she had been assigned a huge pile of novels from different authors at the same time. As some editors were laid off the other editors got a bunch of extra work added onto them, and so this editor was swamped. She was a great editor, but I also feel like, she wasn’t the one who had acquired my books, she didn’t have the sort of passion for them that I had, and so on the third book I shifted editors again to Tricia Narwani, who is the managing editor at Del Rey Books, and she’s been my editor for the last three books. We have an excellent relationship. She’s been wonderful and has really helped make the books better. I’ve written a much smaller five-book series, where the books are only 60,000 words each. That’s like, what, two of yours? One of yours? That basically slightly more than one of my books. Exactly. But even with that there’s always a certain continuity problem, keeping track of details. Now, maybe because of your detailed outlines…does that make that easier for you, so you can look back at an outline or something more easily if there’s a name or a description or something that you have to recall? Or is it just me that has that problem? Well, I’m sort of an obsessive writer. There’s basically three files that I have at any given time. There’s the outline file, which I call a step sheet, there’s the actual prose file, and then there’s my appendices file, where I basically create a glossary that lists everything that I’ve made up in the story. So, every person, place, or thing, every distance between two points, every bestiary of magical creatures, the currency systems and individual locations, all of that stuff, is put into one big appendix file that is searchable, so that if I have questions or if I forget something I have a way to look them up. So that’s been extremely helpful to me, to give me a solid reference point. More of us should do that, I think. Well, again, I mean, it’s one of those things that takes the fun out. And so, if you’re the type of author who needs the fun, then that can be a problem. It certainly is an advantage to have that to refer to. You’ve written novellas that are set in the same world, shorter pieces. 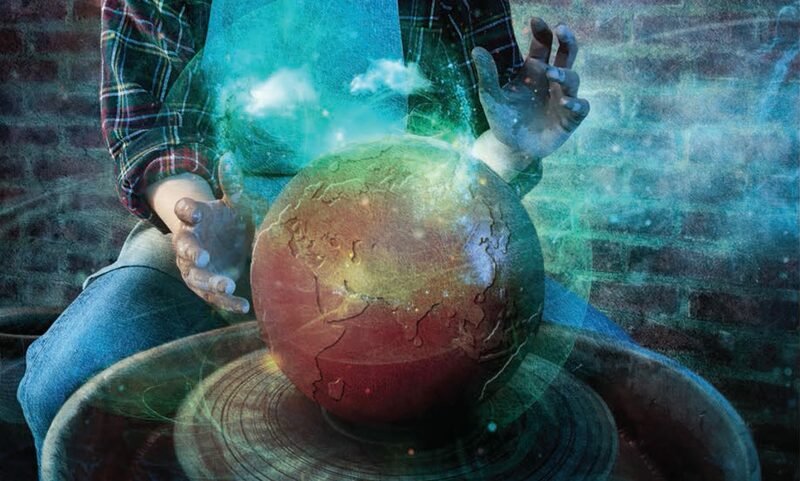 I would think that would be very helpful, to, well, even as an idea generator, to have all this detailed information to see where there are places where stories could be told about other elements of the world that aren’t part of the main cycle. Is that fair to say? Yeah, and I sort of have a running list of those story ideas that I keep handy. I’ve only written four of those novellas, but I have plots for maybe another four or five of them that I just will do when I have time. I always have sort of a running list of, like, “Oh, I never got to explore down that side road because I was building towards this thing and so I kept heading towards that, but I had this cool idea to explore it over there,” and I make a note and then I never got around to it. So those stories are always just sort of waiting for their chance to be told. Well, I’m going to get the big philosophical questions as we get close to the end here. Why do you write? Why do you think any of us write, and particularly, why do you think you and others write fantasy? What is the reason? Why do we do this? I think that every person, in order to maintain sanity and good mental health, needs to have some creative outlet. And it’s different for all of us. I mean, some of it is what you’re naturally inclined towards doing, some of the things are what your skill set is, based on your personal makeup. For some people it’s art, for some people it’s quilting, for some people it’s fashion, for some people it’s music, and for me it was writing. Whether it’s something you do professionally or something you do as a hobby, I really think that without that we stagnate. And so, that was a big part of why I did it. And also, I like the idea that my books will outlast me. You know, the sense that, after I’m gone, here’s something I did that will hopefully stick around and be remembered and be a way to remember me in a fashion. There’s an immortality that comes with being published that I certainly reach for. As for why fantasy? Fantasy is what I love, fantasy is what I enjoy. I mean, if maybe that first book that I had read it was Sherlock Holmesor Tarzanor H.G. Wells, or something, maybe what I write would be different. But my first book was The Hobbitand that really sort of set the tone for what I like to read, and so that’s why I do it, I think. What do you think the appeal of fantasy is for readers? I think it lets us explore things that we might not otherwise be able to. Writing a fantasy world gives me the ability to talk about a lot of real-world things, but in a once-removed fashion that doesn’t point a finger at anyone individually or anything individually. So, I can talk about religion, I can talk about politics, I can talk about culture, I can talk about all sorts of things, gender relations, but I can do it in a way where no one can say I’m talking about them in particular. And so that, I think, gives me a lot of freedom to explore and discuss things. And I think that the magical world is somewhere where our brains go naturally. It’s part of everyone’s childhood in one way or another and something that I really like exploring and playing with. I think that fairy tales still have a lot to tell us in the modern world, to tell us a lot about ourselves and about the world around us. Well, and so you’ve kind of touched on the next thing I was going to ask, which is, what impact do you want your stories to have on readers? What do you want them to go away with? This podcast is called The Worldshapers, and you’ve shaped a very detailed and fascinating world. But by having readers in our world read it, are you hoping that in some fashion you’re shaping them or shaping our world in some way? I guess. I don’t want to be so hubristic as to claim that I have some ulterior motive to, like, shape people’s worldview or outlook or anything, but I do think that one of the things that I do in my books is take a character that you think you understand in one book and then do a deep dive into them in the next book and make the readers realize that they didn’t really know that person at all. The character who is set up to be the villain in the first book is the hero and protagonist in the second book and by the time a couple of chapters go by you’re rooting for them and want them to succeed. That is something that I did multiple times, and I think that if it teaches anything it’s that, whether someone is the hero or the villain is very often a matter of perspective. People can have the same goals, saving the world, being a good leader, protecting the people, and, depending on which side of the fence you’re on, the same person could be a hero or a villain. What I hope is that what people take away from that is that maybe they shouldn’t be so quick to judge people that they don’t really know very well. That was something that was a really major theme for me, especially during those early years after 9/11, when the United States was getting into a war that we didn’t really understand with people that we hadn’t bothered to research, and making a lot of really stupid mistakes. And so, that’s something that I wanted to explore a little and give a sense of, like, all right, maybe if you’d taken the time to understand what you were doing you would have done things differently. It’s definitely a theme in the book. You’ve finished the five-book series. What’s next.? I’ve got another three-book series that I’ve started. 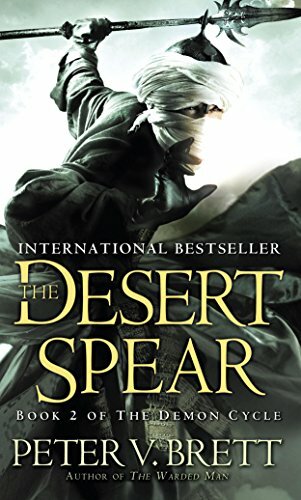 The first book is called The Desert Prince and should be out probably in very early 2020. The series will take place in the same world as the Demon Cycle books but 15 years later and we’ll have a new cast of characters. Some of the older characters may show up for a cameo, but for the most part it’s going to be all-new characters and explore different parts of the world that we didn’t really get a close look at in the first series. You won’t need to read the older series to read the new series, but those people who have will have a different take on it than people who come in as new readers. When will those start to appear, do you think? The first one is due summer of next year and so it will probably be out in early 2020. And then I’m hoping they’ll be out more or less once a year after that. The first one is always the hardest. And where can people find you online if they want to keep in touch with what you’re up to? I’m on most of the social media feeds under the username PVBrett, so Instagram, Facebook, Tumblr, Twitter, all of those used the same username, PVBrett, or you can just go to www.petervbrett.com. Eaverything’s linked there as well. I keep a fairly active blog showing fan art. I run a lot of giveaway contests because I have a small New York apartment and don’t have a place for all of the books the publishers send me, like every publisher’s required to send me 20 copies of each edition of each book, nd if I don’t give them away a quickly pile up on me, and so I very regularly run giveaway contests for signed books. Thanks so much for being on The Worldshapers. I hope you enjoyed it. I sure did. Yeah, it was a great time. Thank you so much for inviting me. I really appreciate it.